Former superintendent of schools Hugh Gloster joins UBC as project manager for the renewal of the Faculty of Education program. Hugh Gloster’s retirement was a quick one. Gloster retired from his role of Superintendent of Schools and CEO for the Central Okanagan School District (23) at the end of 2015. On January 4, just a few days later, he began his new job — project manager for the renewal of the Faculty of Education program at UBC’s Okanagan campus. 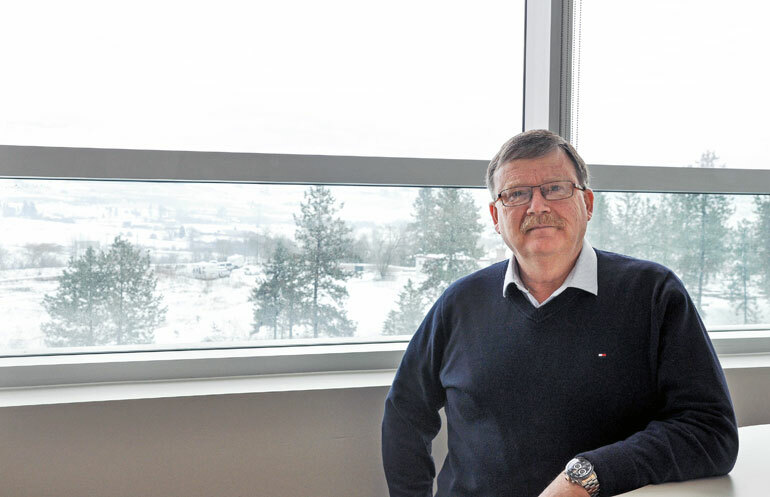 Throughout his 36 years in the Okanagan, the former teacher, principal, administrator, and leader, has seen it all. Gloster has occupied every education role within the public school spectrum, from administration to teaching. During his tenure as superintendent, Gloster focused on developing a culture of collaboration, which he already sees as an emphasis in the renewed Bachelor of Education (BEd) program at UBC. During his career, Gloster has seen many changes to the B.C. education agenda. Gloster brings with him an understanding of school districts and processes of school boards that will help the next generation’s educators find their fit within the renewed BEd program and their chosen careers. Director of the Faculty of Education, Susan Crichton is thrilled that Gloster is joining UBC and is bringing such an abundance of experience. The renewed BEd program, which launches in 2017, will equip student teachers with the ability to teach at all levels and in a variety of teaching and learning contexts. Gloster believes it will help prepare educators to face the daily challenges associated with their evolving roles.